Get the famous UltraCell Topical in 2oz./60ml or .23oz/7ml jars. 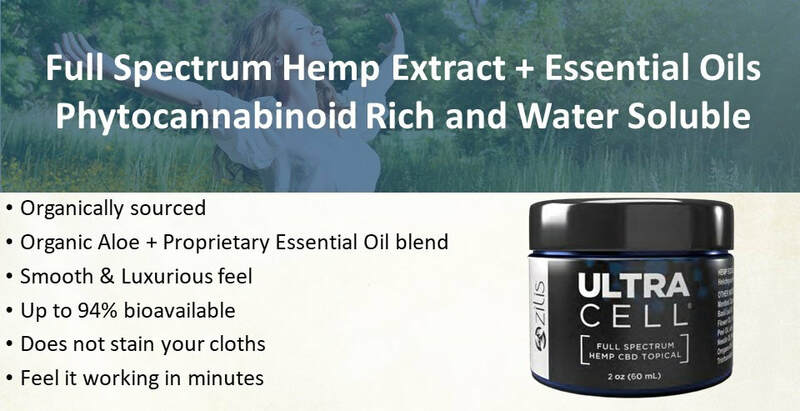 UltraCell Topical is USDA Certified Organic Colorado Hemp and infused several other organic oils that are designed to put the fire out. You will get a proven 94% absorption with this amazing water soluble gift from above. At only $119.95 per 2oz jar or $31.95 for the .23oz jar, you will receive better health benefits than if you were to buy 20 or more bottles of any other brand. Simply the best! When you purchase this product, 70 days of proven nutrition are paid forward to children in third world countries to end childhood malnutrition. Learn more about the Pay It Forward Nutrition Program.